During the early days of the Ra Gada, Prince Hubalajad claimed this Hammerfell peninsula for his own. 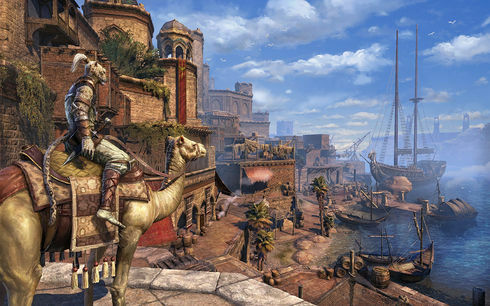 When all his ambitious endeavors ended in failure, the region acquired the nickname Hew's Bane—and it stuck. This page was last modified on 3 February 2019, at 02:00.